We all know that Google has already announced after introducing Google+ Project to the world that they are going to change all of its product UI and design according to its latest social networking website called Google+, Google had already changed the UI and looks of Google Search, Gmail, Google Maps and now Google is going to redesign its video based website called YouTube. YouTube is soon going to get a new looks and UI update according to Google spokesman. 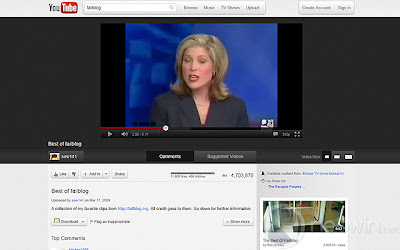 Google is currently testing a new design for YouTube which represents a departure from the traditional layout. 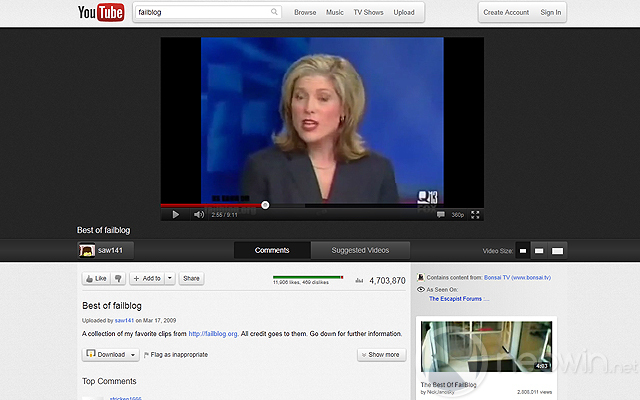 You can personally see and test a new YouTube design here, which is currently named as Cosmic Panda. YouTube is more focusing on darker theme as compare to its previous design, there are many adjustments that have been made in the new design, and there are several features which have primarily contributed to the overall shift in focus. Firstly, the site layout and graphics have changed which means for most at least, there will be a better viewing experience thanks to bigger video thumbnails and a darker background. Furthermore, YouTube has paid particular attention to changing the layout and information displayed on a user's channel page as seen below. YouTube is now offering a huge set of tools for video uploaders to customize their channels by having the option of more layouts available to choose from. When the design is planned to be made the default theme for the site is unclear, but for those that are keen to try out the design, YouTube are offering users the ability to provide feedback in a method that is both interactive and easy. It is interesting to note that there are several alterations to the design which are familiar to the new theme Google is rolling out to all of its services, specifically Google+.